The 888casino app for Android smartphones and tablets makes it easy for players to enjoy practice play and real-money casino games on the go. Taking things the mobile way, the player can enjoy a huge variety of top-quality online casino games right there on the player's smartphone. And isn't this why smartphones were invented in the first place? The 888casino App for Android smartphones and tablets is a must-have for all casino enthusiasts. The app is powered by industry-leading casino giant – 888.com – and it features an impressive range of online casino games for players to enjoy. At last count there were an estimated 100+ casino games across all major gaming categories. These include slots, card, table and other games. Better yet, players can enjoy these mobile casino games on their Android gaming devices for free or for real. The 888casino app for Android can be downloaded at the AppStore or on-site at 888casino. It’s 100% free to download and install and it offers an authentic Vegas-style mobile casino experience. The mobile app from 888casino is offered in regulated markets and players of legal gambling age are permitted to enjoy it. The 888casino app is packed full of nifty features. These include the option to practice for free before you play for real. While this is certainly available with many other high-quality casino apps, it’s unavailable at land-based casinos. This makes it really easy for you to get to understand each of the casino games you’re playing before you wager for real. Top slots titles like Dawn of the Dinosaurs, Starburst, Jack Hammer, City Life, A Nightmare on Elm Street and even Gonzo’s Quest are available. When it comes to casino table games, roulette is plenty popular. Players can enjoy American Roulette with its signature 00, French Roulette or European Roulette at 888casino. One of the hottest new attractions with the 888casino app is the inclusion of live dealer casino games. With this option, you can enjoy real-money casino games with real dealers via streaming webcam. This feature has only recently been added to the mobile gaming realm and it has been embraced by players everywhere. As with all Android apps, the features must be complemented by functionality and appearance. The 888casino app is sleek and functional. It mirrors the standard desktop client and offers on-the-go entertainment with maximum user-friendliness. The quick-play options make it easy to login, logout, select your favourite games and switch between real-money mode and practice play mode. The multi-language support (16 languages) really bolsters the universal appeal of the app and players have access to an impressive range of tried and trusted payments processing options too. Among others, real-money players can enjoy Visa, MasterCard, Skrill, Neteller and Ukash to safely transfer funds. Our testers have found the 888casino app to be reliable and functional. The games definitely offer a great degree of realism and the option to practice first will certainly be appreciated by casino players. With over 100 mobile casino games already available, players are spoilt for choice across skill-based gaming categories and chance-based gaming categories. In terms of cutting-edge technology, the 888casino app is best in class. The tech gurus at 888casino continually test the waters with new developments, new games and new features. The end result is a top gaming app that rivals the best in the business. The Android app is compatible with scores of smartphones and tablets and it’s quick and easy to download and install. It’s a winner; hopefully you will be too! Score: An almost perfect 5. The app is almost bug free, powerful and very sleek looking. 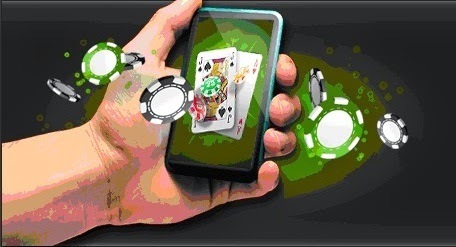 Description: A casino app offering free trail and real money casino games. Bad Points: Not really. The app is really impressive on all accounts. Experience: The time from installing to first successful use is very short - everyone learnt to use it pretty fast and then everyone selected his favorite game offered by the app. Longevity: Quite long, as the huge selection of games made people always return for more. Direct download by QR from 888casino.com (just remember to turn on downloads from third parties on your Android).